"He has no business being an executive"
Footage of a high-ranking executive publicly cursing at workers is definitely not something we expect to see from a company as concerned with its family-friendly image as Nintendo, but while it was shocking to see Nintendo RU General Manager Yasha Haddaji meltdown in front of the camera, those who had previously worked at Nintendo's Russian office will have sighed in relief. The behaviour of Haddaji and the conditions under his rule have been privately discussed by current and former staff for years. Now, it's all out in the open. As Thursday's video went viral, many of these people, driven by sense of justice, have finally decided to open up to the media. Nintendo Life has spoken to several former Nintendo RU employees as well as contractors responsible for the now-infamous 2017 Mario Kart 8 Deluxe stream and has checked the revelations which have been made to Russian media outlets. It's depressing and often shocking reading and sadly comes at a time when Nintendo's presence in Russia is finally amounting to something. "When I saw the video, I teared up in happiness," said one of former Nintendo RU employee on condition of anonymity. "He has always managed to shift the blame on others, but this time, he’s finally accountable for all the torture he put his employees through." This individual, as well as every other one Nintendo Life has discussed the topic with, confirmed that what was seen on the video is by no means a one-time issue. They said that for Haddaji, seemingly minor mistakes on their part were the cause of seismic tantrums, many of which led to chaotic and violent reactions. More than one staffer recounted Haddaji throwing a keyboard against the desk, punching computers and even emptying a trash can into an employee's desk drawer. Haddaji was also known to react with other forms of abuse as well as physical violence. More than one of the people who spoke to recall an employee leaving their PC unattended and being punished with an email sent from their address. On behalf of a person not locking the system, Haddaji sent a “party invitation with free booze for all” to the entire branch’s staff. Bad language and slurs were also used on a regular basis, we were told. Allegedly, Haddaji's most favourite term of abuse deserves special attention: a man of a French origin, he was noted calling everyone he didn’t like "gypsies." Haddaji’s unpredictable behaviour has cultivated a sense of fear within Nintendo RU, with people crying in bathrooms after meetings being a common occurrence. "When I was walking around the office in heels, the colleagues asked me to change the footwear, as the sound was too similar to the sound of Yasha approaching them," remembers another person we spoke to. The way he behaved with the staff drastically differs from the public image Haddaji tries to build amongst Russian Nintendo fans. 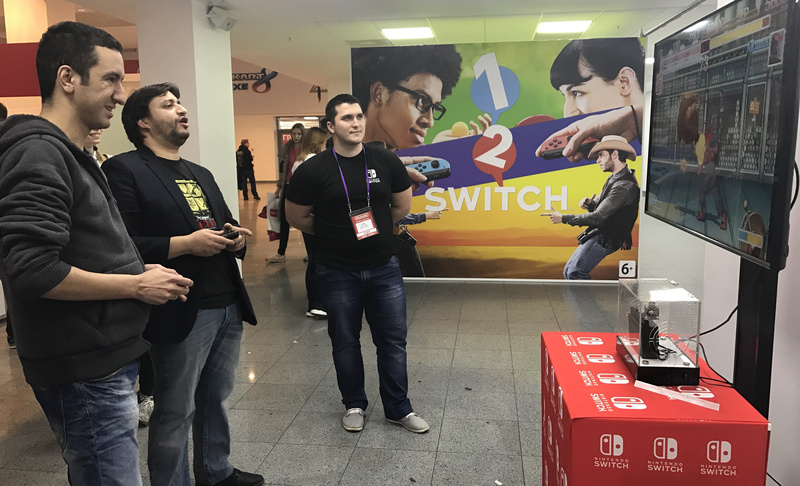 But, on the spur of the moment, he could express the same behaviour to Nintendo RU’s partners — like people organising the Level Up 2017 event, which included the stream. 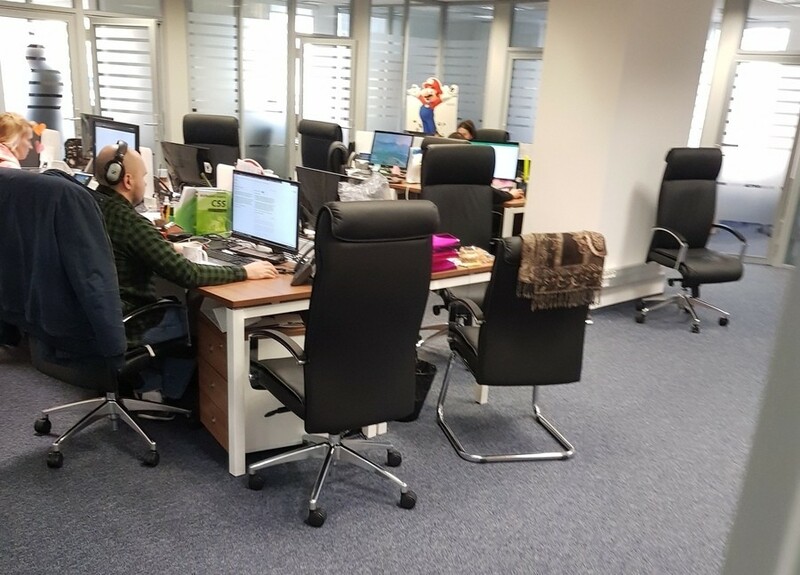 When you consider these horrendous working conditions, what made people stay at Nintendo RU as long as they did? In most cases, it was either because of a passion for Nintendo or a higher-than-usual salary. What’s worth noting is, these two points were mutually exclusive in the company, with Nintendo RU — as said by another former worker — "leeching off" Nintendo fans. "He’s paying far less to those who came working for Nintendo out of their passion for its franchises and the community," we were told. "The less you give a s**t about Nintendo, the higher your wage." Checking this statement against other ex-employees, we determined that, in some cases, the difference was up to 100 percent. "That job almost entirely deterred me from [Nintendo’s] products," it was added. In Russian media, some former workers have also anonymously accussed Haddaji of sexual harassment, with Nintendo Life sources citing the rumours as coming from within the Nintendo RU team. Russian gaming outlet Kanobu yesterday published the story of another person who has come forward. "Clearly, he couldn’t hit on his female subordinates the way everyone could see —after all, he’s married, and that could jeopardise his marriage." (Recently, Haddaji has divorced, according to people familiar with his social status.) "But he personally harassed me, and I’m sure the fact he achieved nothing got him riled up. There was no physical abuse, but I did experience a psychological one," cites the Kanobu article. Workers’ statements about alleged sexual harassment, published by Russian gaming outlet GameGuru, also raise eyebrows. According to their interview with several employees, when hiring Haddaji tries to pick good-looking women, as he believes they don’t tend to argue with superiors. While sources deny rumours of sexual harassment, the article says he made one of his subordinates call him "daddy Yasha", and, according to Nintendo Life sources, raunchy jokes and ambiguous touches were experienced by many Nintendo RU female staff. "Personally, I can note he was touching me during discussions, but I’ve always kept my distance," says Miroslava Basnak, a former Nintendo RU employee who agreed to share her name with us as part of this investigation. "He checked every social network for my profiles, called me into his office, asked me to make them private and to delete 'photos with bitchy context' he was pointing at. After I’d suspended my profiles, he found another one of mine, called me, and said, 'What else I don’t know about your social life?' I wanted to quit at once, but my relatives persuaded me to wait and see whether things will get okay,” she explains. Another person suggests her refusal to meet with Haddaji outside of work cost her a job at Nintendo. "Once he said he wanted to 'make me the best manager,' so he invited me to 'hang out somewhere like friends,' as he wanted to tell me something. The day we agreed me on, I’ve told I was sick. A short while after, he said I dumped him, and told me to look for another job. The moment I’ve asked for a compensation, he threatened to ruin my career, making it so no one would hire me." Being afraid for their future careers in case of breaking the news is a feeling every respondent was sharing, with some sort of stigma around specifics. The user also tells about an investigation team from Nintendo of Europe who was supposed to react to some incidents but ultimately never came to Nintendo RU. Sources said to Nintendo Life they did hear of a secretly recorded audio sent to Europe in 2013 or 2014, and confirmed the story was ultimately "swept under a rug." GameGuru reported earlier this week that when they tried to call Nintendo RU, they spoke to a man with a 'French accent', who said, "There aren’t any Yashas and never were. You should call the office." The next time, a Nintendo representative told the reporter Haddaji couldn't be reached, as he was "on a workshop." On Friday, Kanobu reported that Haddaji has been ordered by his superiors not to comment on the situation. Five people who agreed to talk with us were working at or with Nintendo RU during various periods of time from 2015 to 2017, with hearsay of disgruntled employees trying to report to the European office dating back as far as five years ago. And with new workers replacing old ones broken by the harsh environment, those who quit earlier are constantly surprised by how harsher Haddaji has become in the last few years. 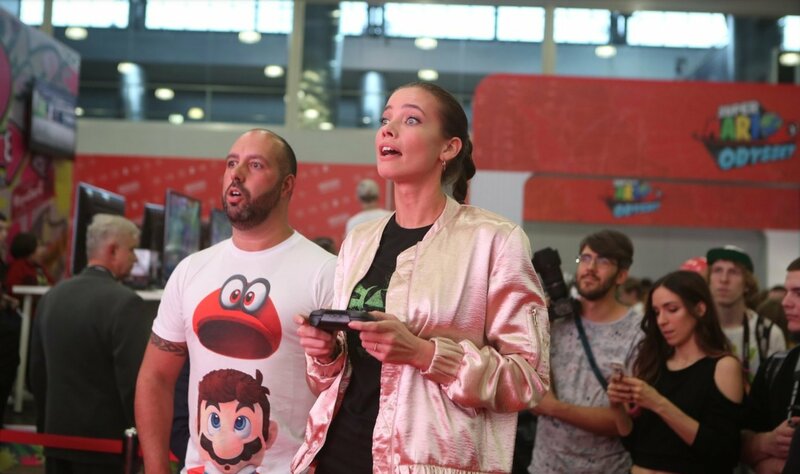 We are aware of a video uploaded to YouTube recently in which Nintendo Russia’s General Manager, Yasha Haddaji, is seen losing his temper during an altercation with an external vendor in charge of a Mario Kart livestream. Mr Haddaji’s conduct and choice of words are most certainly not in line with our company values. We are also aware of further allegations that have appeared in the wake of this video and are now running a thorough investigation. We take these matters extremely seriously and will not comment further while we are running our investigation. We still don’t quite know who uploaded a year-old live stream recording, or why. Was it a malcontent Nintendo fan, an employee crying for help, or was it the result of a cooperation between the two? Either way, the result is presumably the one they were after; the video made the world look at the beloved company with fresh eyes, and will hopefully lead to a change of leadership within Nintendo's Russian office. When you leave so many sparks laying around a fire Is inevitable. That Nintendo wasn't aware of this sooner and didn't already fire the guy baffles me. that's not something that a official Nintendo boss would do that. how do we resolve this problem that is Yasha Haddaji? Edit: this is my first reply. @Giygas_95 As far as I'm aware, NoE's been very hands-off with how Yasha handles Russia, so I'd assume that means they've been unable to directly intervene in the whole situation, especially if rank-and-file employees don't have a direct line to NoE and have to go through the higher-ups. Until Nintendo fires this piece of faeces, I’m never going to purchase another Nintendo product again. Making your (current and former) employees miserable is crossing a huge line, it’s really disgusting they disregarded past complaints from former employees. Maybe he just has a thorn in his paw??? 😄 ...This guy needs to go. Good article. As a Nintendo fan, this is not a person I want to be connected to in any degree. Deplorable behaviour and abject incompetence. @tudsworth If they did have to go through higher ups, I'm sure Yasha shut that down fast. This guy doesn't just need to be fired, he needs to be put in jail. I wonder how this will end. @Greator I think he's French! Jeez, this is more than just an all-round bad guy, he sounds more like a certain President. He should be fired and those allegations looked thoroughly into. @Giygas_95 It's also unfortunately how many organisations run; It isn't until it's outed in a big way that they're forced to respond or react to it. "Nintendo, if you don't fire the russia guy, I'm going encourage a mob to take away your ability to provide for your family." How did he end up an executive for Nintendo in the first place? I would love to work for Nintendo but would probably never get anywhere beyond the application process. Fire this man and put him before trial! For harassing, sexual aggression and abusing his power! @purpleibby I’m sure even if 25% of people stopped purchasing the products, it won’t get Nintendo employees fired other than that clown as it would send a very clear message. @Snow-Dust No, it's wrong man. You're encouraging hurting people. This guy is ruining Nintendo's "peace & family" reputation. That's truly sad and I'm happy to see changes were made. A while back I worked with the same type of guy in management who was unprofessional to say the least. He made it a point to single out these two other guys as well as myself every single day. Verbal assaults, yelling, threats were apart of my everyday at work. It got the point i didnt even want to come in to work anymore. Ultimately, I got laid off from there and im currently at the the job I've been at since 2012. And much happier here! Everything happens for a reason i believe. Point of my story is i know what these people are going through, not only is there no place for this behavior in the work place, but really, it shouldn't be happening outside of it either. Glad to see justice being served. @Snow-Dust Are you in the Russian marketplace? Because if not, such a boycott is sending the message to the wrong people, punishing those who are not responsible for the crimes of another. This is just one diseased branch of a whole company and you want to hack off a different branch or start chopping at the trunk when some pruning would be sufficient. @purpleibby This isn’t a perfect world, people get hurt one way or another. @Snow-Dust I think you better listen to NoxAeturnus. @NoxAeturnus Things reach globally these days. I can make choices and I’m not supporting anything like that even if it’s a different branch. It is quite clear that it is stated on the article that NOE brushed the complaints under a rug like it didn’t existed. No internal investigations at all. @Greator It’s not a big deal for me, I save more money in the long run. @Giygas_95 Seen this at plenty of places. Upper management will turn a blind eye to things if the managers below them smile & kiss up as needed. If this stream never came out this guy could have been there for years without ever being at risk of losing his job. @Snow-Dust explain that to a kid who's mom/dad got laid off for something they had nothing to do with. @purpleibby That or have a dictator ruining people’s lives, unless the people working for Nintendo are really that incapable, I’m sure they can get another job. Hopefully Nintendo does the right thing here. The world is watching. Nintendo of Japan is gonna bring down the axe if NoE doesn't resolve this quickly. I am glad this is being reported on. Nintendo has got to intervene with this guy and get him out of there. @Shizuelle he will either get a golden parachute or relocated similarly to Isiah Thomas when he was sexually harassing a woman and losing coaching the Knicks. Big businesses at the elite only smite their corrupt manager type employees after enough social pressure. IE DC comics shuffling Eddie Berganza until enough pressure for sexual harassment by people outside the company to fire him. And of course only Cosby goes to jail. I've had managers like this and also had clients behave like this while I was onsite. More commonplace than we would all like to admit. From Nintendo I expect a swift and quiet replacement to be done in Russia, as this is definitely not the image of the Nintendo we know and love. It's a shame one person can be so disruptive, but sadly adults in working life are albeit sometimes worse than children. @Riderkicker I am glad you get this. It's sad how parents don't teach their grown kids to be vigilant about this bs when they go to their first day of work. Sadly it can take awhile before enough evidence/allegations are brought to the attention of those with the power to do anything. In cases of nepotism it’s even worse. And it’s easy enough to without evidence simply go “Yeah that person I fired was pretty crazy. Such a liar” for awhile. Companies aren’t gonna fire someone so high level he said she said or three. When the only people above you are the heads of the entire worldwide company itself chances are it’s gonna take a lot to get it noticed by them. If you lead by fear then you don't really lead at all. The more of these idiots we get rid of in high level positions the better we'll all be. And if your boss is a jerk and behaving in ways they shouldn't, you need to report it. The reason guys like this get to the levels they do is because people don't want to cause problems. The mob has a spoken! Burn the man! Burn the place where he works! We’re all such good and noble people and he is so so terrible! Burn him! Burn them all! This man has to be fired, he needs therapy and then he needs to try to rebuild his life. Like all human beings he has a right to be forgiven and a second chance and no one has the right to take that away from him. Shame on you Nintendo Life for such an article. Isn't that how Bowser treats his minions? Unlike Russia, USA is a tropical paradise with DK. @Equinox Being a cultural relativist makes you more of an SJW than some other people. Notice that this guy doesn't even look Russian and his name doesn't even sound Russian. If he was going to behave, then he should behave according to Russian laws and Russian culture. Seeing this guy's name, I'm not surprised, I've heard stories of people like him having certain views on blue collar and standard employees as a whole. There's a story of a turkish socialite that looked down on a Filipino worker over there saying they don't deserve vacations. Really makes the noggin joggin'. Great article. Very disappointed Nintendo hasn't done something about this guy. Really cool of y’all at NL to investigate and report on this. Keep up the good work. I was expecting more twisted and abusive. While I agree the guy is scum behavior like this isn't that uncommon unfortunately. Guys, i'm not trying to support mr Haddaji. But there are important points that we did not take into account. 1. Everywhere is only the opinion of one side. What about the presumption of innocence? or give a person the opportunity to speak? 2. Mr Litvinenko (the author of the feature) has a personal interest in this story. He did not write about it but he already had a conflict with Nintendo Russia. Is it professional for him to write now in this vein? Anyway, we need to wait for the result of the investigation. How were they expecting a Russian office to be run? I'm not one to wish unemployment unto anybody, but he at least deserves to be demoted to NRU's janitor... Maybe it would help him clean up his act and stop treating others like trash. @purpleibby I don’t know why you keep jumping down this one guys throat for personally boycotting Nintendo. It’s one guy. If he doesn’t buy their games, Nintendo won’t notice. I highly doubt that enough people will band together to boycott Nintendo products in such a way that a multimillion dollar company will have to start firing employees. I think it’s a great idea to boycott if a company doesn’t support your values. It’s the reason I haven’t bought an EA, Ubisoft, or Capcom game in over a decade. Those companies are doing just fine financially, but I’m happy in knowing I didn’t contribute to it. If Nintendo does get rid of this guy, wouldn't they just replace him with the person next to him in rank? A person who was probably appointed by him because he cared more about business than the games. If so, then that person will probably be like his predecessor but more subtle and professional in mistreating employees. @Snow-Dust I personally boycotted EA, Ubisoft, and Capcom for over a decade due to their shady business practices. I totally understand where you are coming from. Though, I broke for the Mega Man Legacy collections. @goggles789 It's not tinfoil hat wearing when we don't even get to hear the other side of the story to collate and compare. We have two courts, the court of public opinions and an actual court. Although we try to be fair and unbiased, we always fall for the court of public opinions. I would reserve judgement when it is due, until I hear the other side of the argument. We may hear what actual employees say and witnessed, but witness statements are less reliable than actual physical evidence such a video or a photograph. Eye witness accounts must first be corroborated by time, place and person present in order to be recognized as enough proof of guilt. One video of breaking down does not prove of chronic mistreatment. Thus, Nintendo of Europe has to investigate further and corroborate all necessary evidence to justifiably fire this guy or risk union subpoenas on an actual court and violate administrative policies for companies. They have to follow rules too. @littlebigmario I hear the phrase "presumption of innocence" thrown around a lot. That's a legal phrase relating to the stance taken by many countries that, in a court of law, it should be the prosecutor's obligation to prove guilt rather than the defendant's responsibility to prove innocence. It has nothing to do with whether a person actually IS innocent. It also isn't meant to prescribe how the public should form its opinions. As far as the public is concerned, a multitude of credible sources and a video of his tirade is proof enough. @littlebigmario While I don't usually participate in the discourse around my articles, I'd like you to publicily tell what "conflict" do I have with Nintendo RU— because I cannot recall any. In fact, even on Nintendo Life, I've always given them a credit where it's due. Both me personally and Nintendo Life staff tried to get a comment from Nintendo, including the Russian division, and we've only got a statement from Nintendo of Europe less than an hour before the publication. That's what "asking other side" means, and I was doing just that like any professional would. For a long time, I've wanted to tell the stories of disgruntled and broken Nintendo RU employees, because that's not something we would ever hear in a normal situation. In this sense, yes, I am personally interested in the story. You don't need to say, "Hey, this one person was just fine" to show there is a life-impacting problem within the branch. @Greator your stereotypical thinking is also not in line with global standards, isn’t it? @Equinox look at you, jumping at imaginary boogeyman. The fish rots from the head. @link422007 I don’t know why you feel the need to do their PR work. @goggles789 I really don't, I just think about on both perspectives. Empathy has to be applied on both sides of the spectrum to understand all. My profession has taught me that. Like I said, we all fall on the court of public opinions, but we should always be fair to all things or risk being vindictive and blind to what is actually just and fair for all. That includes the accused because I've had my fair share of false accusations and rebuttals in my workplace. Trust me, you won't be saying that if it happens to you. I didn't think it would happen to me but it did. And I'm glad that they were dropped when I began pressing for charges and damages. I would like nothing more than to find a definitive solution to this as much as you. But knee jerk reactions are reserved for the ER when life is actually at stake just in my point of view. I'm not defending Nintendo, I'm simply stating how bureaucracy and the rule of law works. @ylitvinenko Ok, that's very funny, dude. But but once you probably criticized Nintendo and you were added to the black list. A lot of media in russia wrote about this case. It looked like you were offended by Nintendo and began to criticize it. I'm not saying that you are a hater, but there are people who think that way. Why didn't you write anything about it? and what can you say about objectivity, mr Litvinenko? Everything is quite simple. Maybe you downloaded the video? This guy is a major slimeball. @MongolRaider French Arabian from what I could pick up about this guy. Haddaji is a very uncommon name in India from what I could learn. Needless to say, the general manager behaved awfully. I just watched the stream... What a joke. I don't know about Russia but in the rest of Europe we don't have the right to know what happens to a company's internal disciplinary proceedings. One thing's for sure though is whatever Nintendo decides would be too good for him. @littlebigmario I still don't know what you mean. It sounds as if you are mixing me up with someone else at best, or, for some reason, trying to defame me at worst. As for accusations, I think my initial comment and my contribution history on Nintendo Life speak for themselves. I'm going to leave this conversation, sorry. I get the feeling that he won't be employed there much longer. Nintendo is much too conscious of its image as a family-friendly company to let something like this slide after it goes public. Sunlight, as they say, is the best disinfectant. Abuse and corruption thrive in secrecy. @ylitvinenko it is absolutely obvious that you are dishonest. You use the fact that readers do not know your relationship history. The employees should tape him having a meltdown and blackmail him. uhm... but this site has copied your article? He is from Paris but has arabic roots. Not Indian. @littlebigmario Not only did this article’s author address your claim, but you didn’t provide any merit to it. Also, you don’t have to have an agenda or ulterior motive to write what employees say about the individual. There’s enough statements made regarding the individual’s behavior that leads a reasonable person to assume there are severe behavioral issues here. Let Nintendo Corp run some checks, but it’s ridiculous to state that someone can’t report on it objectively in the meantime. If you think any of the claimed behavior isn’t that bad, I encourage you to think what would happen if you did these things in a non-supervisory position. @link422007 actually it sounds russian – as a diminutive from Yakov. So I was very surprised, when met some indian-looking dude. I didn't even know he was a big cheese, I thought he's some low tier manager or something, he gave me a 3ds mouse pad and mario stickers long time ago at one con )))). Few years later I was interviewing him for a magazine, he demanded material to be later approved by him. I don't remember the details, but it didn't end well. he was silent about his relationship and he cheated. Is this correct for an objective journalist in his investigation? @link422007 You may be right. From the small bit of research I did, Yasha is a Russian name, but that doesn't mean his family came from Russia, of course. I don't know about the origins of Haddaji, though. The meaning of the name Yasha in Russian is to defend man. How ironic I that? Wow, this is terrible. Glad this stuff is finally coming out. Also glad that NL is reporting on something newsworthy for once. I hope that a thorough investigation will be conducted into all the allegations. This guy doesn't deserve to be in management and at the very least needs a course in anger management. Treat others how you would like to be treated. It's as simple as that. that guy needs to be fired or drop into a active volcano. 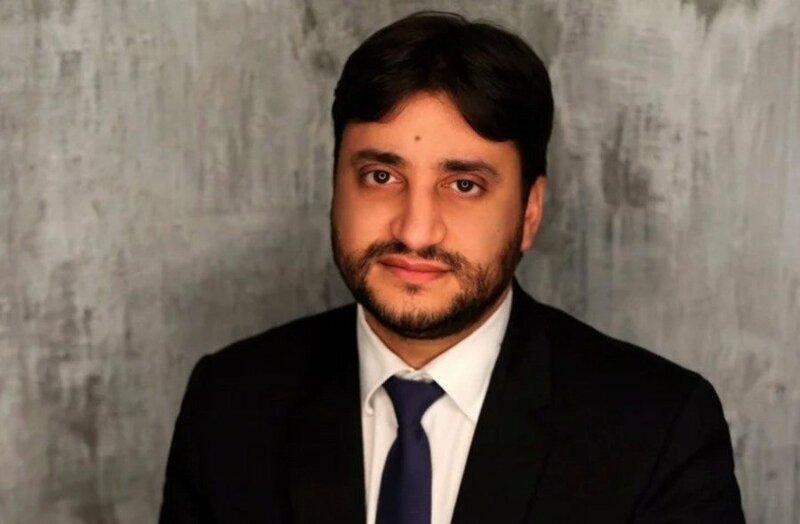 "We are aware of a video uploaded to YouTube recently in which Nintendo Russia’s General Manager, Yasha Haddaji, is seen losing his temper during an altercation with an external vendor in charge of a Mario Kart livestream. Mr Haddaji’s conduct and choice of words are most certainly not in line with our company values. We are also aware of further allegations that have appeared in the wake of this video and are now running a thorough investigation. We take these matters extremely seriously and will not comment further while we are running our investigation." It sounds like the polite talk someone does while cracking his knuckles, right before putting them to good use offscreen. Yep, as everyone predicted, guy's going down. The Thwomps are coming, Yasha; don't know what they are? Of course, wasn't "the less you're a fan, the more you earn" a company (branch) policy, after all? Yes, the Thwomps are coming for you indeed, Yasha. And there's only so much those brick blocks above you can do. Yup, this sounds like a bigger mess by the day. /)_-) Glad to hear Nintendo is aware and on it, although the reports of an investigation done some time ago and seemingly going nowhere are bad news in that regard. Then again, now a lot has gone public... including the part where Haddaji allegedly didn't think much of NoE staff themselves. :V Safe to assume that at the very least quite a few people in the company now have quite a few questions. Russia. That’s the answer to all the questions in this comment section. @littlebigmario The author asked you what you were referring to, and you didn’t expand beyond your original claim. But it’s all good. Apples are apples. I wont buy a single game from Nintendo until this maniac is fired. And I urge everyone that reads this to do the same and spread the word. @MongolRaider Yasha is a short form of russian name Yakov. Which is a local version of name Jacob. I believe literally no Russian has Yasha in thiers birth certificate, as it is short form which is used only informally. This arabic man named Yasha working in Russia is just a coincidence. I red in one of these interviews by former employees that he hates when he is called Yakov, like he is Russian. @Figeluren im still going to buy nintendo games regardless or not and not going to let some @$$hole in russia nintendo deter me from buying switch games. He leads a podcast about Nintendo. He writes in media about Nintendo. This media had a conflict with nintendo. It's clear as daylight. I think this is the slyness. I'm not supporting mr Haddaji. But author keep silent that there are people who support the general manager in therms of business. Mr Litvinenko keep silent about his personal conflict with Nintendo Russia. How the hell this ''thing'' is the head of Nintendo Ru? You both missed the point entirely. By not buying games till he is removed you would show support for the Russian employees and hopefully getting them better working conditions. I'm assuming it won't take long till he is replaced if Nintendo supporters start taking action. @Equinox Wow you're really trying to spin every article to make it about those evil Sjw's. I was in the exact same position as you, try getting out of this echochamber and you'll see that noone's out to get you and the world isn't as bad as some people make it out to be. @Figeluren (cough)bs(cough) buying nintendo/switch games hav enothing to do wats going on in russia nintendo leadership seriously boycotting doesnt aways work out and besides EU nintendo are well aware wats going on and will deal with this situation before they get lashed out by nintendo hq in japan. I disagree. If I lived in Russia and didn't buy games, it would hardly even get noticed by Nintendo as the only one being affected is Nintendo RU. And a region can have occasional drops in sales. That it's because of a certain individual, would never come to light. It is Russia after all. Instead if world sales would get a drop for a period because of an individual, then Nintendo would be forced to really consider taking action ASAP. Especially if it got big as it would draw the attention of the press and other news organizations. Consumer power is greater than you give it credit for. It's not easy as an individual, but as a group you can really affect companies. @Greator Please don't. There's scum enough in any country, and calling them "just an average Russian/French/British/Japanese/whatever" won't do any good, but just incite hatred. Peace, man. 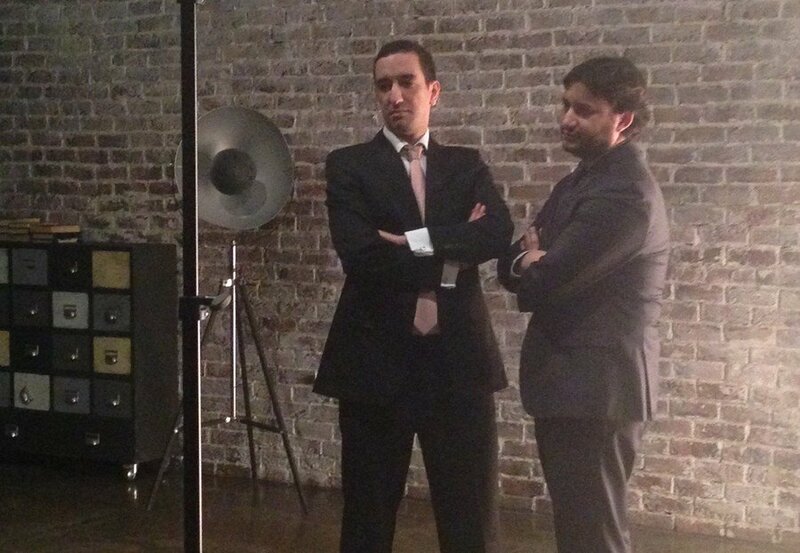 @Equinox "Russia has a tough and rich culture of being stern as a company director." Being Russian, no, it doesn't. Some people are just a-holes. It has nothing to do with national culture, and should not be tolerated in any part of the word. A guy like this needs to be at the bottom of the food chain, and not be president of something. Yikes sounds like this guys suffers from a severe case of delusions of grandeur thinking he owns Nintendo or something the sooner he's out on his behind the better Nintendo of Russia can be. Certainly looks like a dodgy fellow from that video. And definitely not very Nintendo-like. That said, this is really quite bad journalism. You repeatedly take anonymous accusations and then frame them as definitely true "Haddaji was also known to react with other forms of abuse as well as physical violence." "His unpredictable behaviour has cultivated a sense of fear"
"When you consider these horrendous working conditions, what made people stay at Nintendo RU as long as they did? " Wow, thinking about it, you never hear about the goings on with Nintendo branches outside the big three (and sometimes Australia). After the mess with this jerk (and cronies?) is settled, I suspect RU and other locations with a lot more outward facing. If you are being bullied/harrassed in your workplace or school, the best thing you can do is tell others. You need others to know, especially someone in authority if possible, so that they can help support you and can assist/brainstorm in resolving the problem. A lot of people say nothing and try to shoulder it as their own battle, without realizing that many others are in the same boat. This guy is the perfect example of the kind of person who can't handle having any sort of authority. This guy deserves to be fired. This guy still hasn’t been fired after all this?! I got fired once for arriving 35 seconds late for work! Yet this douche gets to keep his job, even after all the controversy?! Nintendo, what the actual hell?! Unfortunately from I got in internet, looks like the guy is being victim of preconception because he is not borned in Russia. This is not a black and white story. Who watched the transmission know the bad mouth words he said was really little to the absurd streaming which even a 10 year old do better. @MongolRaider I had the displeasure of awkwardly asking an Indian and bangladeshi classmate of mine back in my school days at the risk of sounding stereotyping, fortunately, they knew me enough and they sounded amused. Indian and Bangladeshi names are harder to pronounce compared to Persian or Arabian on foreign language. Even my Pakistani friend finds the name Haddaji quite familiar. I'm guessing whoever recorded it just never uploaded it at the time, and found it while looking through old videos recently and just now decided to upload it. I doubt it was a result of any recent events or anything like that. Is there real evidence that he sexually harrased that employee? @BladedKnight - I'm not talking about the company, I'm talking about the regular individuals affected and their personal well-being. The company won't initiate conversation with you out of the blue and get themselves into more hot water than necessary. It's up to affected staff to raise a flag. It's not "cute", I've worked in management and had staff tell me similar stories, like having anxiety just from hearing the boss's footsteps, or throwing up in the bathroom because of a domineering manager on a power-trip. It is a travesty that this a**hole hasn't been officially been fired yet. I'm not on track with all the social media justice warriors and the totalitarism ideas behind these "enforce the world to do our idealism" by pushing on media. What we should really ask is for an investigation from governement or Nintendo and take take action after a good judgement. It really pisses my off how people acts twitting demands for a social reaction deciding the fate of someone being in a different country, with different laws and no clues about if what the demand is legit or not. I normally pass on all this Social Justice bedazzle dazzle sazzle because I simply focus on my life and I don't listen to weird totalitarist ideas sometimes I read. HR departments are a sham. They are there to protect the management, nothing more. Junior staff complaining will get short shrift. @Figeluren A global boycott isn't an overreaction at all. When one of my car parts fails I take it to my mechanic and start smashing his office with a hammer. Gets the part replaced way faster. Seriously. You're right that consumers have A LOT of power. And boycotts can effect change, but not every problem needs a nuclear solution. Shouldn't that be the last resort rather than the knee-jerk response? We don't have to burn the whole forest down every time we find a piece of garbage in it. @NoxAeturnus not sure I follow your analogy there. Are you saying your car part abused you and your friends and/or colleagues? This isn't about a faulty part. This is about human lives, basically crushed by an individual that is highly representative of a company that I have high respect for. I don't consider a short term boycott an explosion, as I assume this will be resolved soon. But it would mark a point towards Nintendo that we the consumers don't accept this kind of behavior. And as a realist, of sort, I realize that not all would follow a boycott. But if just a few would. A change, that should already have occurred, imho, might come sooner rather than later. I can't decide which is worse. The situation, the manager, or the comments section. @Caterplease the author, I think, who first downloaded the video and then did the fake investigation. What a tricky plan and what a stupid resentment. Scary corrupt country, scary corrupt Nintendo branch. Go figure! Shame on nintendo as a whole for this. They clearly knew what kind of man he was and tried to sweep all incidents under the rug. They deserve the bad pr for that. @Figeluren So you're advocating for a boycott that will hurt many more good and hardworking people across multiple territories of a global corporation? Good plan. It's in no way an overreaction, and it'll have the added benefit of showing all those innocent people what it's like when someone they don't work for and have no control over does something bad half a world away. A poorly written article with fewer facts and a lot of anonymous accusations and it's enough for an angry mob to come out. You people should gather your forks and torches, go and burn this guy. Or you could just grow up and demand a proper investigation in the matter before passing judgment. @construx the video speaks volumes. Nothing baseless about that. Same with the former employee who gave out her name to lend the whole thing credibility. How much more proof do you need? @Jawessome I don't think the video speaks volumes at all. It comes across like a propaganda piece from a disgruntled fan that didn't get a reply from their letter to Mario or something. I mean, it claims they want someone more passionate for Nintendo Russia... yet the video shows a CEO (that's a very senior figure) being very passionate about the stream he has paid for not working properly and frankly not getting any answers from the staff that are charging him money! No-one can defend an aggressive attitude... but to be honest with you, if he's being mugged off by a company (which appears to be the case) and he's calling them out for it and expressing he's not happy, then how is that a lack of passion exactly?! @construx I couldn't agree more. Given that the associated video is very poorly made, and full of long sections of irrelevance, it's clear to me most have not actually bothered to watch it. I've watched the video 4 times now (painful experience because it really is a poor video) and I can honestly say, whilst the guy definitely needs to calm it down a bit, without seeing the other side of the story (e.g. the level of incompetence of the streaming company, which it seems is pretty high) then it's impossible to present this as any sort of evidence against the guy. It's frankly ludicrous! "More than one of the people who spoke to recall an employee leaving their PC unattended"
This hurt more than the crazy video did. @nocdaes if you're the area manager for a company that prides itself on family friendliness, acting like that at an event to promote the company is not okay. It's not like he personally funded it. The money used for the event is Nintendo's. Behave with a little dignity in the public eye. This coupled with reports from former employees is not something that should be ignored. Nintendo needs to get to the bottom of these claims and act on them if they're true. @Jawessome Agree that Nintendo should certainly investigate and act accordingly. I highly doubt that video is going to form any part of their investigation though!